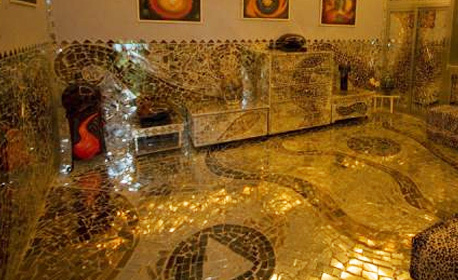 Many people even those who reside in Kuwait are not completely aware of ‘The House of Mirrors’ or hall of mirrors. 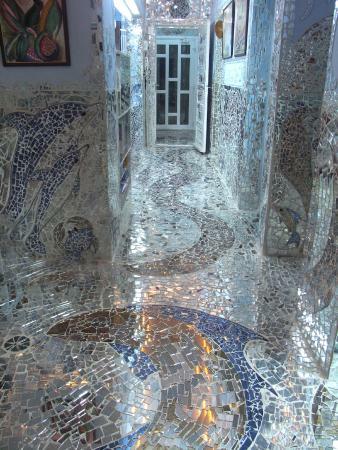 However this is really an incredible wealth of art so accessible to the public at large and it is worth the visit. 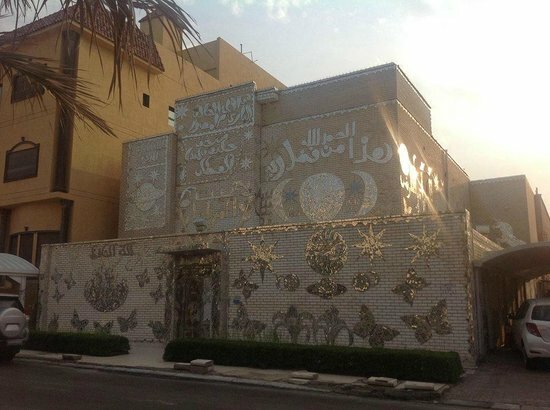 This house of mirrors belongs to Khalifa and Lidia Al-Qattan and it’s now considered as a museum as the wife of the renowned Kuwaiti artist has turned their house into a work of art using broken pieces of glass to decorate the outside and inside of the house. 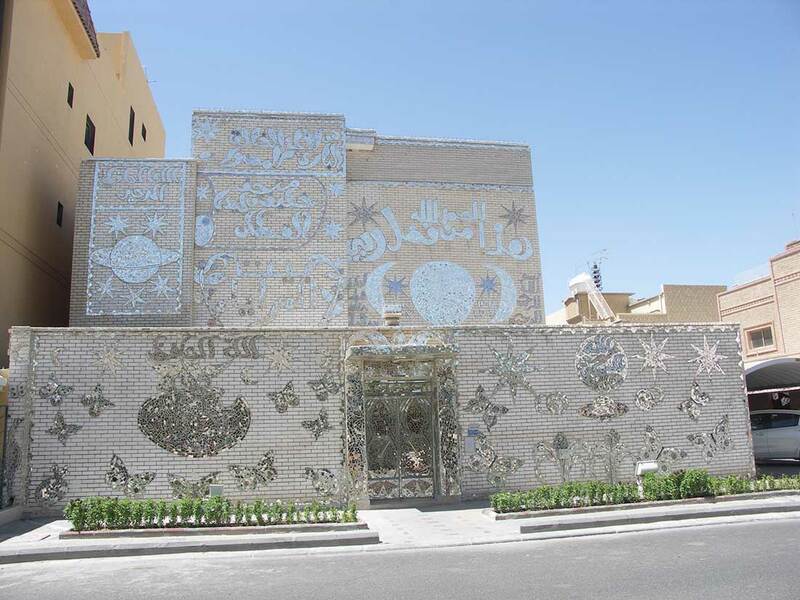 Located in Qadsiya, the house is still a private property so appointments have to be made prior for weekday visits. 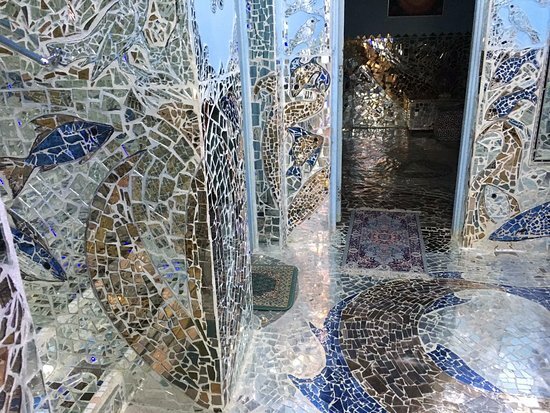 Approximately 100 tonnes of white cement and 75 tones of mirror have been used in the making of the mirror mosaics that spangle the outside and inside of this residential house.